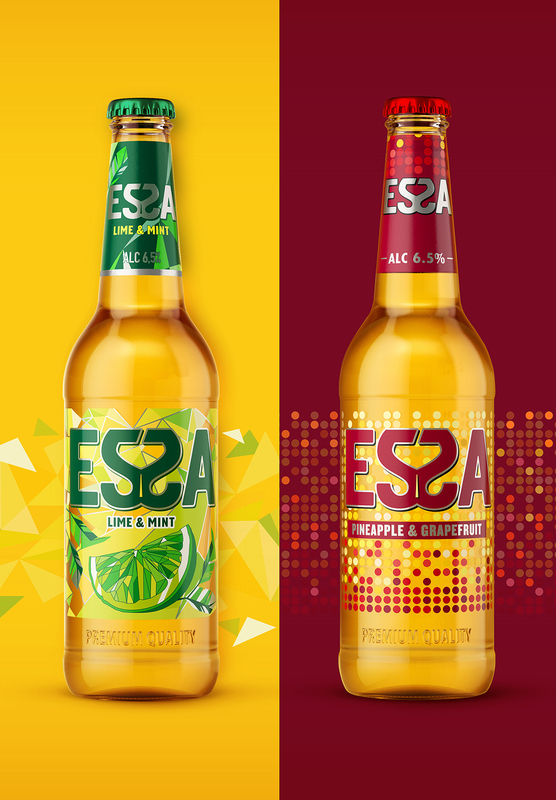 Premium beer «ESSA» initially was positioned as a «female beer» because of the sweet juicy taste of pineapple and grapefruit. Expressive and bright appearance with an abundance of pink and red colors contributed to attracting the widest female audience. 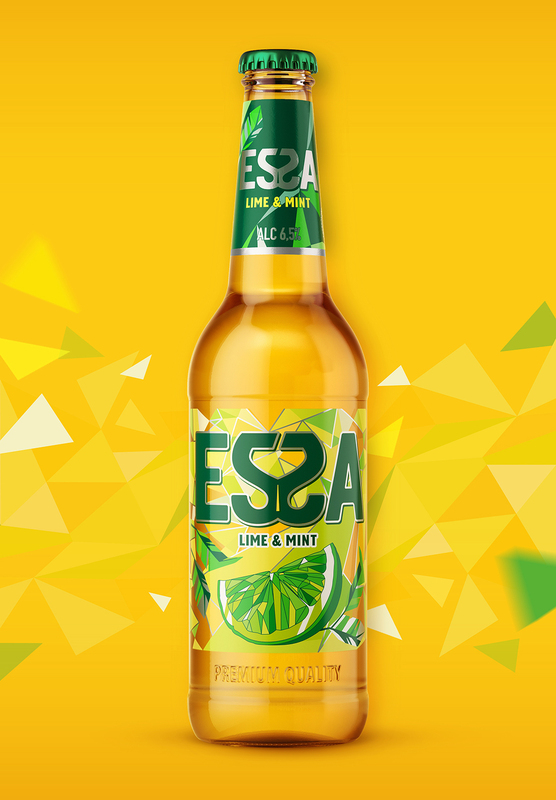 Success of the brand has inspired Efes team to release a new original refreshing taste with Lime&Mint, which could attract not only female, but also male audience. In this connection, there was the task to develop more universal and stylish design, that will help to extend target audience of the brand from only girls-parties to noisy youth parties. For a new taste, we offered spectacular solution in polygonal graphics style, conveying dynamic atmosphere of party and bright impressions. 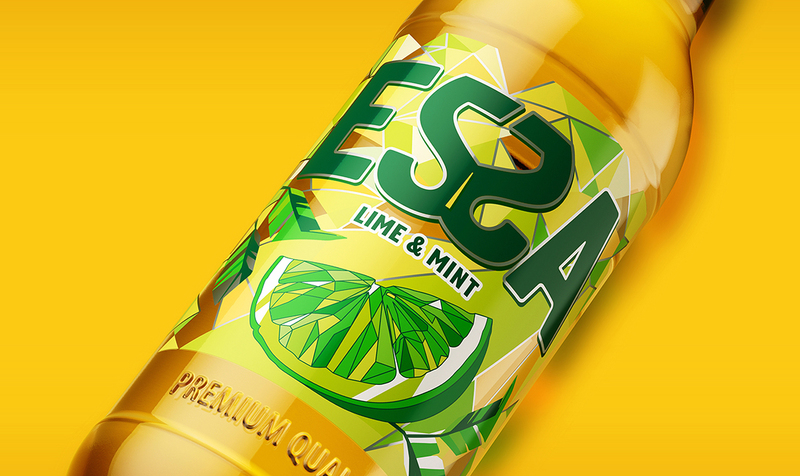 Saturated yellow-green color scheme and original solution of product zone strengthen the sensation of tasty, light and fresh beverage. Logo of the brand was also changed: heart made with two «S» letters has delicately turned into original cocktail glass with tubule, saving consistency with a familiar sign for consumers. 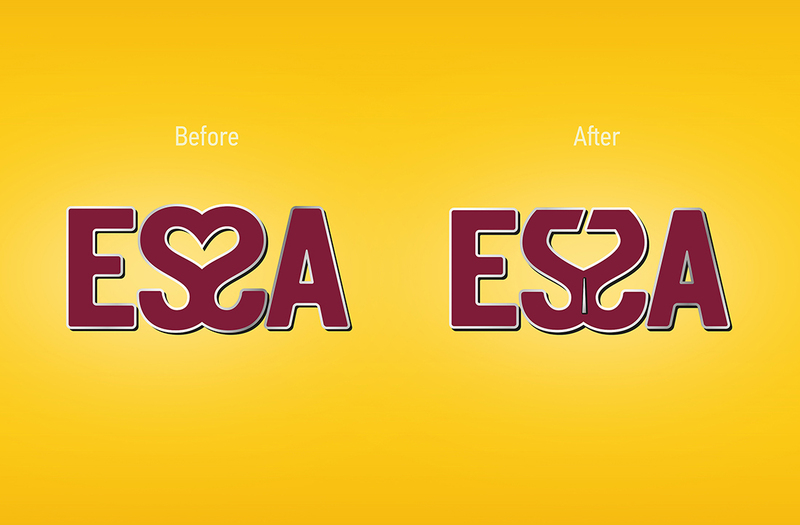 According to changes in the logo of the brand, we updated the regular can and bottle of grapefruit Essa.